Head over to get this LEGO Classic Fun Future 10402 Building Kit (186 Piece) for ONLY $9.79! Perfect for Easter baskets! 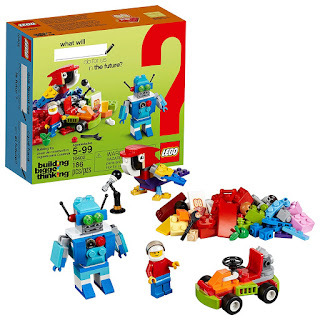 Help your child think bigger, build bigger and use their creativity with this special edition future-themed LEGO set, featuring a range of colorful bricks and elements, plus a unique 60th anniversary LEGO tile. No matter how big a child's imagination is, expand it with LEGO bricks. This construction toy offers varying levels of building complexity, makes an excellent starter set for budding LEGO builders and includes a minifigure. What will your big thinker build?